Star Wars: The Force Unleashed II is due out in less than two weeks, and to be sure you are paying attention, LucasArts has released two very cool TV spots to get your attention. 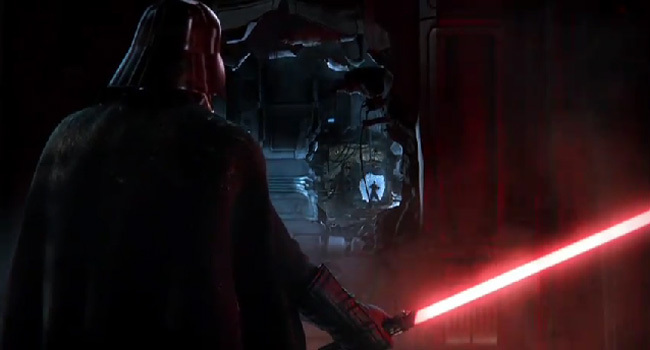 Even if you hate Star Wars, you have to admit that these trailers are pretty cool. The sequel to the best-selling game hits stores on October 26, just two weeks before Call of Duty: Black Ops is released, one week after Fallout: New Vegas arrives, and just a month after Halo: Reach set records with its debut, so you can expect LucasArts, a company not typically known for their subtlety, to release more clips like these as the release date approaches to try to generate as much hype as possible. The sequel takes place several months after the events of the previous game, and about a year before the events of Star Wars Episode IV: A New Hope. Once again you take control of Starkiller, but now you are seeking the truth about yourself and whether or not you are a clone of the original Starkiller. Along the path to the truth and enlightenment, you blow up stuff real pretty. Will Windows Phone 7 finally win Microsoft the respect it deserves?